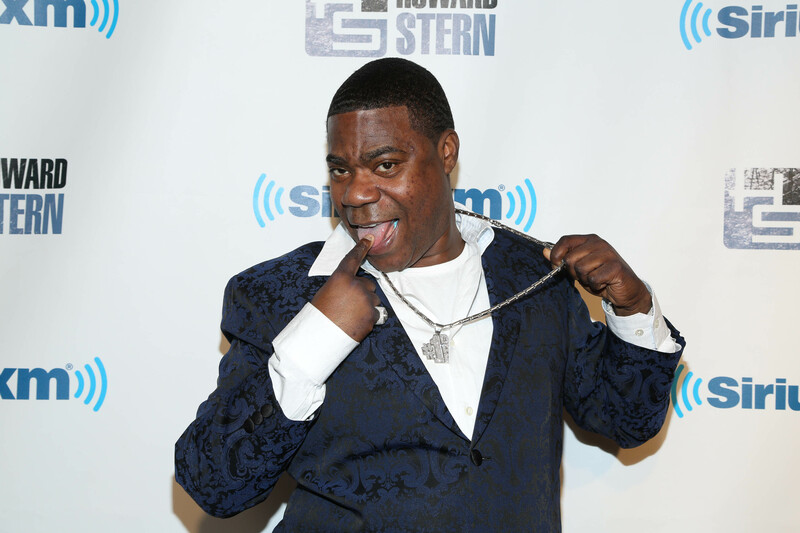 The only good thing about this news is that Tracy Morgan continues to slowly but surely recover from the car accident that left him in critical condition. The rest of the news is just terrible and sad. In response to Walmart's counterclaim that Morgan's injuries were due to his lack of seatbelt, both Morgan and his attorney released statements of their own. According to an interview that Morgan's lawyer, Benedict Morelli, did with Page Six on Tuesday, doctors are unsure if Morgan will ever perform again. We all knew that the accident and his subsequent hospitalization had put all of his projects on hold, including Morgan's untitled FX television show, but the idea that he might be permanently relegated to voice-only roles is truly saddening. "The jury’s still out [on whether Morgan will perform again]," Morelli was quoted as saying to Page Six. "The doctors don’t know the answer. I don’t know the answer." Of course it was to be expected that Morgan would need a long period to recover from all of his injuries before he is able to return to the entertainment world, but hearing that even the doctors are unsure if such a return is likely is terrifying. Morgan has done voice work before, in Rio 2 and The Boxtrolls this year alone, but he's always been an on-screen funny man. Saturday Night Live, 30 Rock, and films like Cop Out are where he got to truly shine. Looking to future projects, his untitled FX show is now in serious jeopardy. While the network proved willing to support Morgan through his recovery and assured everyone that the show would be waiting for him when he was well again, with this new allegation from his lawyer the project might be permanently shelved. Not only is that a tragedy for the fans, who would surely have been delighted by the combination of Morgan and the It's Always Sunny in Philadelphia producers, it's a tragedy for Morgan who hasn't been a main, regular star on a television show since 30 Rock ended. Of course, right now, this is just a claim being made by Morgan's attorney. The Page Six article didn't quote any of the doctors working with Morgan on his recovery and there's always a chance, no matter how small, that the situation might be exaggerated for the purpose of building a better case against Walmart. It might be selfish of me to wish that's what's really going on, but I would find that easier to accept than the idea that we might have seen the last of Morgan in film and television. As new details about the case and Morgan's recovery come to light, there's nothing we can really do but cross our fingers and hope everything turns out well.